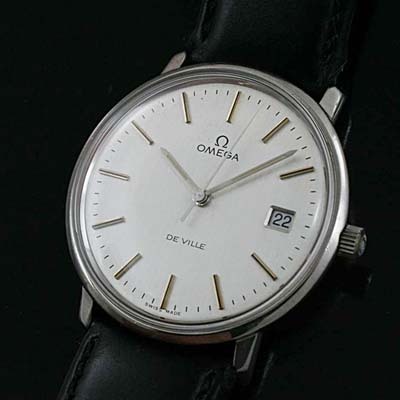 Classic Steel case shape Omega DeVille. With unusual raised DeVille logo on the steel case back.Larger than usual size with calibre 1012 movement. 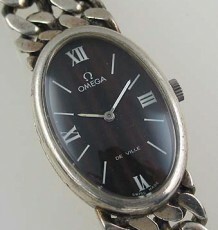 This is an unusual vintage Omega watch. 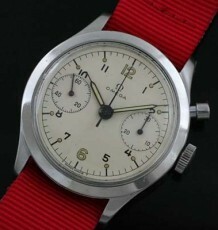 Typically, watches marked DeVille were more fashion line watches but this is surely a mainstream casual watch. The case features a raised DeVille name on the back. Other DeVilles I have sold were usually Seamaster DeVilles and were slightly smaller than this model. 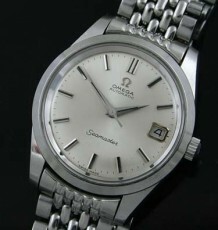 This solid steel model features the use of the Omega automatic calibre 1012 movement with quick-set date. This is the same movement found in the Omega Seamaster 1000 and Ploprof. The dial is satin with nickel coloured hour markers that have the black onyx inserts. The case measures 36 mm wide by 40 mm long and is supplied on the buyers choice of black or brown straps. 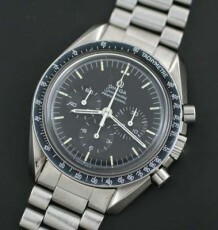 Please note the original Omega crown and crystal fitted to the watch as part of its recent service.